4CD / 80 track set exploring the independent side of the UK's post-punk synth-pop boom. From household names and scene legends to underground outsiders and bedroom experimenters. Includes The Human League, OMD, Fad Gadget, Thomas Dolby, The Normal and many more. Hardback book format includes over 12,000 words of sleevenotes (including artist-written pieces), introductory essay by Dave Henderson and period imagery. Key tracks and hidden gems from Mute Records, Rough Trade, 4AD, Survival Records, Cherry Red and a host of essential independent players. Produced by the team behind the critically acclaimed 'Close To The Noise Floor' series and a number of other essential box sets. 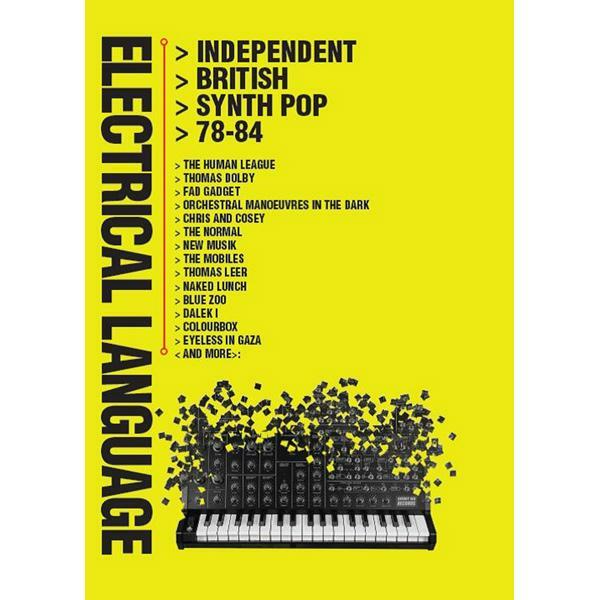 "Various Artists - ELECTRICAL LANGUAGE Independent British Synth Pop 78-84", is out Friday, 31st May 2019 and available for pre-order worldwide now.